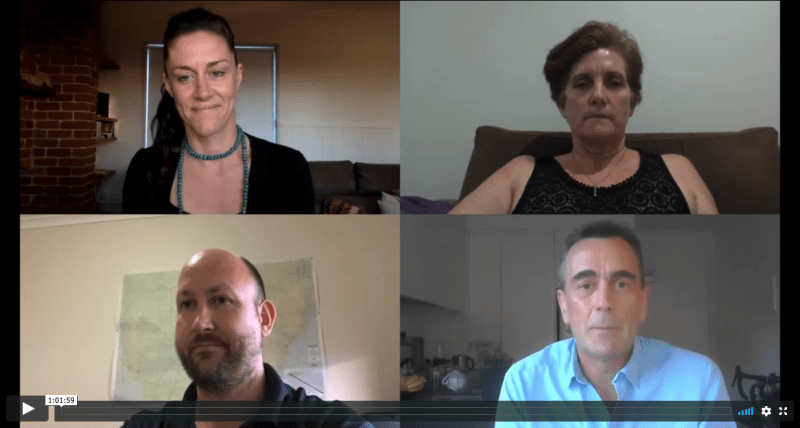 The ASLM Board announced the launch of the ASLM Fellowship in February 2016, along with a grand-parenting period which unless extended by the board, will end on 30 June 2019. 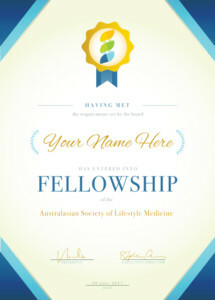 The ASLM Fellowship is arguably the first fully multidisciplinary fellowship in Australasia, open to all full members of the society – which means GPs and medical specialists, all other AHPRA registered practitioners, some degree qualified allied health professionals, public health professionals, and researchers and educators in lifestyle medicine related fields. Being a multidisciplinary fellowship means it can be seen from a clinical, public health, research or education perspective. However, being a framework for peer based recognition, rather than a tertiary qualification, it offers considerable flexibility and cost control for candidates. 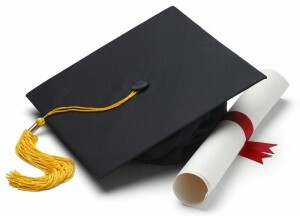 The Fellowship is conceptually based on a Masters degree in structure, utilising a model of 1440 nominal learning hours (eg: 12 tertiary units x 120 nominal learning hours each), meaning that fellowship candidates need to earn 1440 points under the Fellowship framework to be awarded the Fellowship. Recognition of prior learning completed in the five years prior (10 years during the grand-parenting period) is available. For the purposes of RPL, qualifications older than this are considered to be ‘kept alive’ by virtue of regular practice, registration, affiliation and continuing professional development in that field. The maximum number of points that can be claimed by way of RPL is 960, except during the grand-parenting period where up to 1440 points (the full Fellowship) can be claimed. It is expected that most Fellowship candidates will have significant claims for RPL. For example, post graduate qualifications in Lifestyle Medicine related areas (eg: nutrition and exercise sciences) are eligible for Fellowship points, as are seminars, workshops, conferences and other education, training and CPD related to Lifestyle Medicine. The introduction of the ASLM Fellowship is accompanied by a grand-parenting period, during which time RPL provisions are more generous. Grand-parent provisions will end on 30 June 2019, unless further extended by the board. Minimum of 240 points of ASLM provided education/training. This requirement cannot be waived through RPL, except during the grand-parenting period. Currently formal enrolment/candidature is not required. Fellowship applicants can simply apply for RPL based on past education and training in the domains of Lifestyle Medicine and we will suggest where you can get any extra education needed to earn the necessary Fellowship points, eg: the Lifestyle Medicine Core Competencies (LMCC) course or the Avondale College Grad Cert and Grad Dip courses in Lifestyle Medicine. or call 1300 673 643 to schedule a call with our Education Coordinator to discuss eligibility, recognition of prior learning, the grand-parenting period and any other questions you may have.